Her debut film as director, Yadvi: A Dignified Princess, is the real-life story of a Rajasthani princess and her struggles after marriage. The actress spoke to Cinestaan.com about why she chose to make a film on her grandmother and her journey of making the feature film. New York-based actress Jyoti Singh’s first directorial venture, set to be released in select Indian theatres on 28 July, is based on the true story of her grandmother, Maharani Yadhuvansh Kumari, daughter of Maharaja Bhupinder Singh of Patiala. Amongst the wealthiest royals in the country, the king led a colourful, lavish lifestyle and Yadvi, as Yadhuvansh Kumari was called, was one of the numerous children sired by him. Her mother was the king’s third wife, Maharani Bimal Kaur. 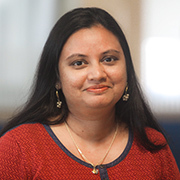 Jyoti Singh lived with her grandmother until age 13 and was educated in the US. But she had always had memories of the time she spent with her as a child. In a telephonic conversation from New York, she talked about why she decided to make a docu-drama on Yadhuvansh Kumari, her grandmother. “It’s her journey from being born till where her life takes her — her struggles, her strengths and everything else. 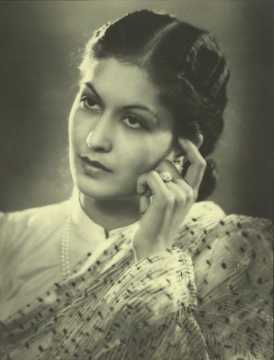 She is the daughter of Maharaja Bhupinder Singh and [later] she is married into the Maihar gharana in Madhya Pradesh. It’s basically her journey from richness to poverty,” Singh explained. Yadhuvansh Kumari was highly educated and like all of Maharaja Bhupinder Singh’s children had an English name; her's was Princess Alice. A reader and gardener, she read to her grandchildren books about the Ramayana and other Indian epics. 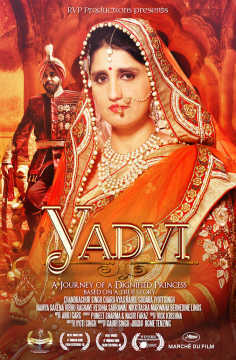 Yadvi: A Dignified Princess, according to Singh is an inspiring film with a message. It tells people to “never to give up hope, no matter where life takes you”. The film brings up issues of dowry and polygamy and gives an account of the time when the monarchy was losing power. “[At a time] when women didn’t have [many] rights. She struggled, raised her kids and did it all with positivity. That was the whole idea of making the film that you can survive [without] being negative or killing yourself. There are a lot of those things that happen in your journey in life so that was something that she was able to withstand and that’s where her integrity and humility comes in,” Singh said. The independent feature film was primarily shot in India in April 2014 with a few portions in the US. Jyoti Singh’s sister, Gauri Singh wrote the screenplay after speaking with her mother and her sisters. The two sisters worked on the project together. However, the film was not shot at Maihar palace but on the border of Gujarat and Bombay using the unused sets of the TV serial, Bharat Ka Veer Putra – Maharana Pratap. “We decided to shoot [there] and we shot in one month. We had a crew of about 50 people. I was looking for directors and finally I decided of directing myself because it was not that high a budget film. We shot with whatever we had — we had brought our own clothes, my grandmother’s saris and stuff she’d given us, passed it down,” the actress-turned-filmmaker said. With her sister handling art direction and costumes, they got a foreign cinematographer, Jigme Tenzing, who didn’t speak a word of Hindi, but managed to communicate well with the local Indian crew. Jyoti Singh had never worked in India before got her cast through the help of her acting teachers Roshan Taneja and Tom Alter and other actor friends. Actor Chandrachur Singh, who plays Maharaja Bhupinder Singh, is her cousin. Afterwards in 2015, Jyoti Singh began submitting Yadvi: A Dignified Princess to Indian and international film festivals where it has won awards and received nominations. Singh said, “The movie is in English because I made it more for the international audiences.” She has had many people come up to her all over, even in US, who could relate to the film. Singh is also aware that the chances of this low-budget independent film surviving are small. But she is happy with the outcome from the people who have seen the film so far. “Overall, I’m happy with the journey because I didn’t expect it to come out so beautifully [and for] people to appreciate it so much. It’s not a typical film about crime or anything else, [but] an inspiring journey of a woman,” she said.